In the early days of my daughter’s life, I remember a lot of really big and scary labels being thrown around her tiny NICU cubicle. Doctors would come in and tell us, if it is this diagnosis it would mean this, or it could be this or that. I remember being so scared and not understanding anything going on as test after test was run. We took our precious daughter home five days after her birth with a long list of medical conditions but no answers. All I really understood was that I wanted time with my baby with no wires or tests. We took her home, but doctors loomed large in our lives. I remember spending a lot of hours at our local children’s hospital in the clinic tower. We met with doctor after doctor, but no one was sure what or why my daughter was sick. A few weeks after her birth, we met with a team of genetics specialists. They wanted to run more tests. We agreed, hoping they would find answers. First they took her blood, but nothing came back and a few diagnoses were taken off the list. Then, a few months later they asked to do two skin biopsies. My poor husband took her for that and to this day is scarred. It was an awful procedure that left baby and daddy in tears. That test came back with a partial answer and more things eliminated as possible diagnoses. At some point during her first year they took more blood and sent it off for a microarray study. I remember it took months for them to study her blood. However, everyone thought it would lead to real answers. But the joke was on all of the doctors, since it came back with one tiny answer that told us nothing about her many medical conditions. We decided we would just focus on caring for her and take a break from finding answers. To some that may not make you feel free; however, for us it was a weight finally lifted. We needed to move on and realized that no answers are okay. We would never know why her body struggles with the many medical conditions she deals with daily so bravely. We would never be able to put an answer on that tiny line on medical forms that says: medical diagnosis. 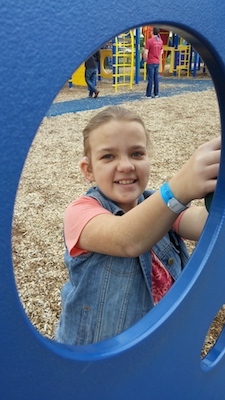 We needed to move on and realize medically complicated was her diagnosis. Emma is medically complicated. That is okay with us, and more importantly, it does not define her. She is a joy of life. She is more then her medical conditions. She is more then what she is not. We are okay with no answers. We just deal with what comes when it comes and try to make the best choices we can to give her health and joy. Sometimes, peace comes with no real definition and that is okay. Rachel Zook is a mom to two beautiful children. Emma is 12 and is medically complicated. She loves art, music, and cooking. Taylor is seven and he loves to draw and take marital arts. Rachel spends her time caring for her family, working at the library she loves, and crafting to relax. She and her husband Daniel love to have fun adventures with their kids. They look forward to a fun summer.